The association between breast and ovarian cancers with endogenous estrogen or hormonally related events has led to the hypothesis that exposures to exogenous estrogenic compounds in the environment may increase the risk of these cancers. Atrazine, the most commonly used herbicide in the United States, belongs to this group of compounds and is widely used in corn production. This study is an expansion of a previous investigation conducted in Kentucky. 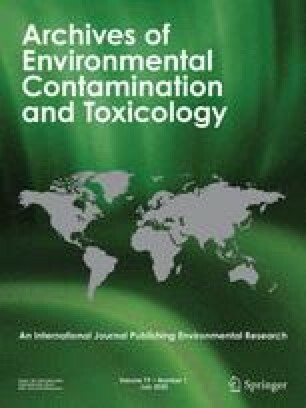 Using secondary data, we derived several indices of environmental exposure to atrazine and examined the association between these measures and the incidence of breast and ovarian cancer in Kentucky over a 5-year period (1993–97). Exposure indices to atrazine were derived based on public water measurements, acres of corn planted, and pounds of atrazine sold. Data on breast and ovarian cancer incidence were obtained from the Kentucky Cancer Registry by county and by the 15 Area Development Districts (ADDs) in which the 120 counties are grouped. Poisson regression analyses adjusted for education and race were conducted separately for each index of exposure and for a combined total exposure score. All exposure measures were divided in quartiles for analysis. A null association was found for breast cancer across all exposure indices, both by county and by ADD. For ovarian cancer, the data suggest an inverse association, with increasing exposure linked to decreasing incidence rates, both at the county and ADD level. The following are the rate ratios (RR) and corresponding 95% confidence intervals, for the summary exposure scores in the three upper quartiles, using the lowest quartile as baseline (RR = 1.0), and the county as the unit of analysis: 1.01 (0.83–1.21), 0.77 (0.66–0.90), and 0.76 (0.65–0.88). Due to the ecologic nature of this study and inherent limitations, it is possible that other factors may be contributing to these findings. Studies using individual-level data are recommended to elucidate the relationships between estrogenic environmental exposures and female reproductive cancers.